For most women, cooking on a daily basis becomes a boring chore, toil they have to put up with. Unappreciated, unpaid and monotonous, I see a number of women turning away from cooking. Most of us who are well qualified were raised to not spend time making rotis in the kitchen, somehow building a subtle lowliness around cooking. Because career and kitchen rarely go together, right? Wrong! Many of us in the food profession make a living from it. 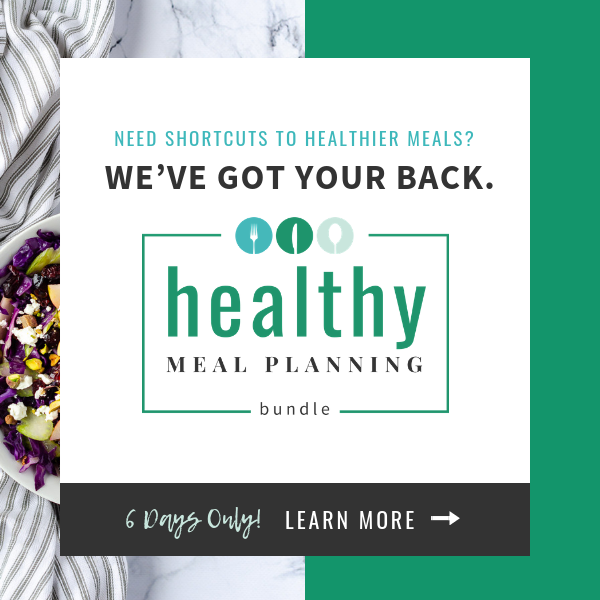 Cooking is so much more than three square meals in a day. It’s about creating memories and serving love and passion on a plate. Not to mention health and nutrition too. 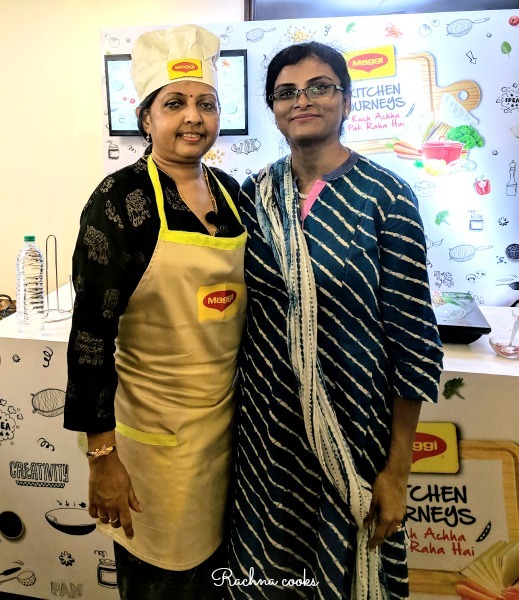 Hence, I was very excited to attend this event by Maggi India in Goa to witness and cook with Rita Shinde of Rita’s Gourmet, a Food Entrepreneur, who has gone from a regular kitchen to a thriving foodpreneur. 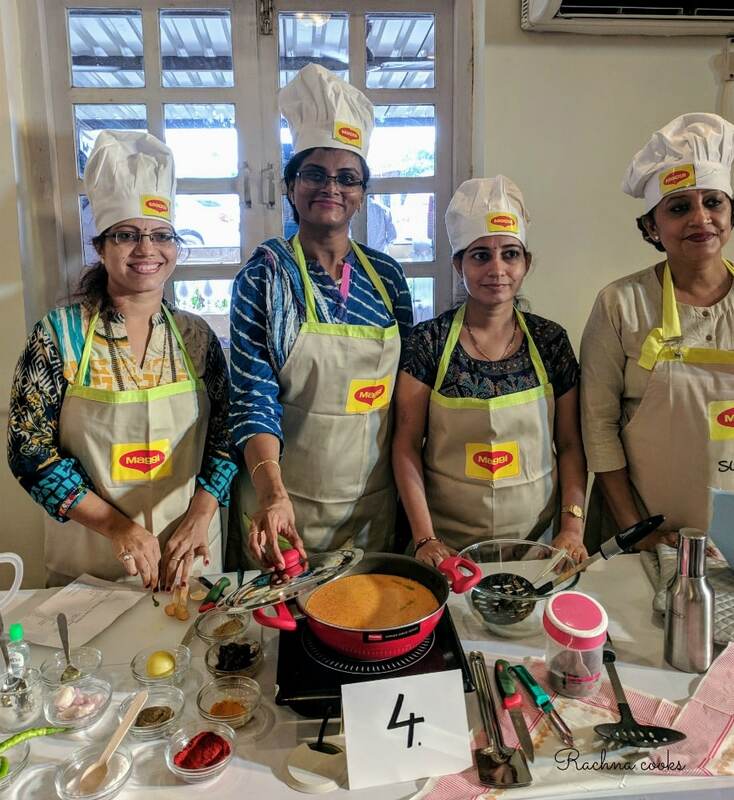 This initiative MAGGI Kitchen Journeys that is now airing on ZEE TV showcases stories of 12 regular women like Rita who have worked hard and used their love for cooking to propel themselves from home kitchens to a rewarding profession, building for themselves an identity, name and fame. Whether it is starting their own restaurant, running culinary classes, having their own food truck or pitching in to cook for the homeless, these inspirational women are doing it all. You can watch these amazing kitchen stories on Zee TV every Saturday. 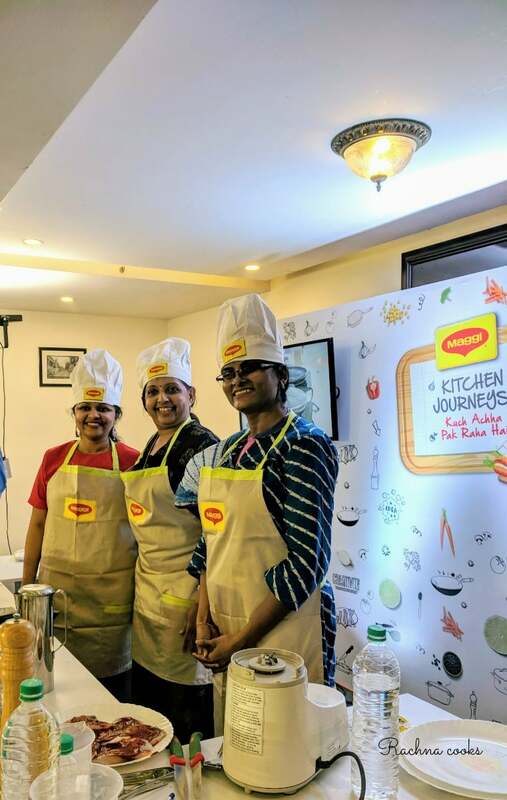 I laud this initiative to rekindle the love of homecooking by Maggi India and also to recognise and appreciate women of substance who have made a mark for themselves in the world of cooking. I am sure that these tales will rekindle the love of cooking and build a much-needed respectability around it. As a foodie, food blogger and a woman, it inspires me tremendously and also gives me a sense of immense pride and joy. 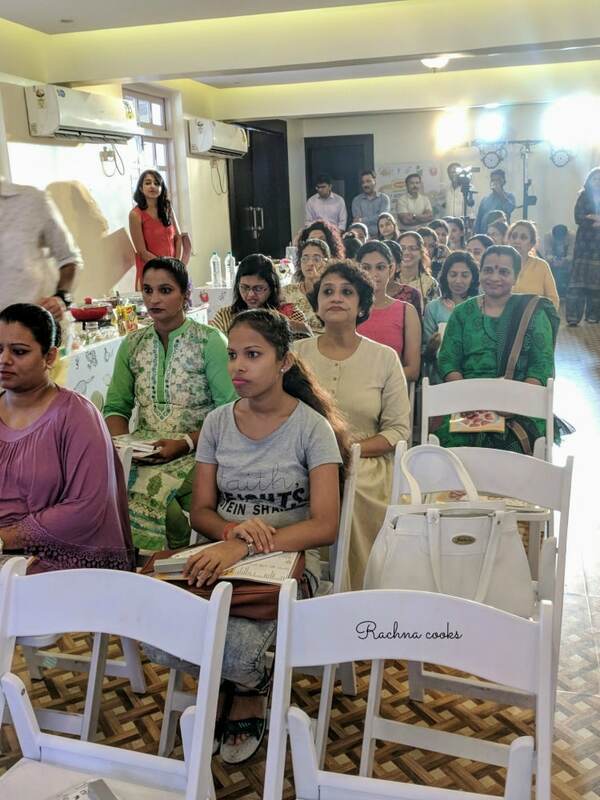 The event in Goa kicked off amid rains and had a good participation with homemakers gathered to witness Rita Shinde. Then Rita Shinde took the stage. A gentle, unassuming lady with a ready smile, she introduced us to Goan cooking and then took us along on a culinary adventure when she cooked four recipes for us. Rita is a foodpreneur who runs Rita’s Gourmet. She offers regular Cookery classes in various cuisines including Goan and Portuguese. Rita’s Gourmet is also popular with both domestic and international tourists. She shared her generous tips and showed us exactly how to perfect the recipes. I also got to assist her in cooking one of the recipes. 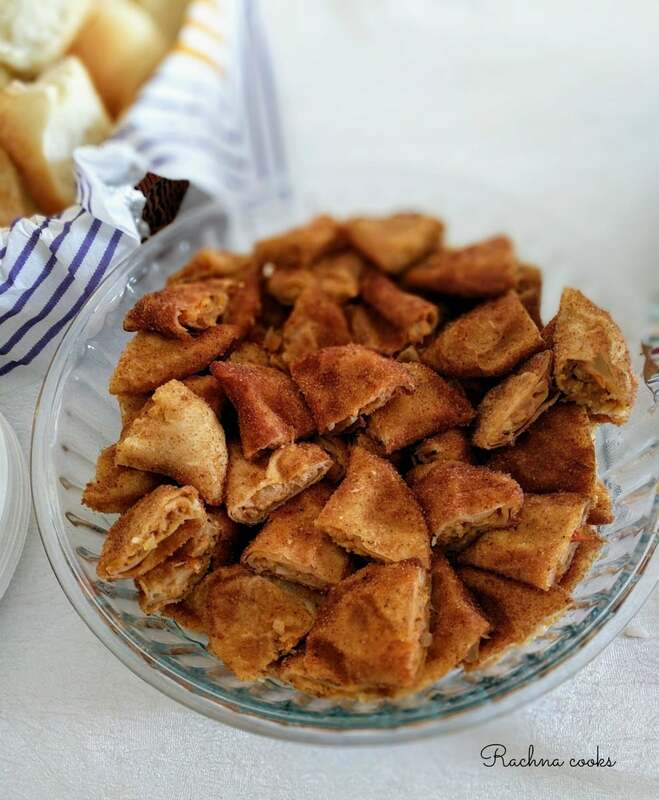 She began by cooking Rissois de Camarao (Goan Prawn Puffs). We followed along picking up tips on how to make the perfect puff pastry and white sauce. The end product was delectable. Next was Chicken Xacutti. 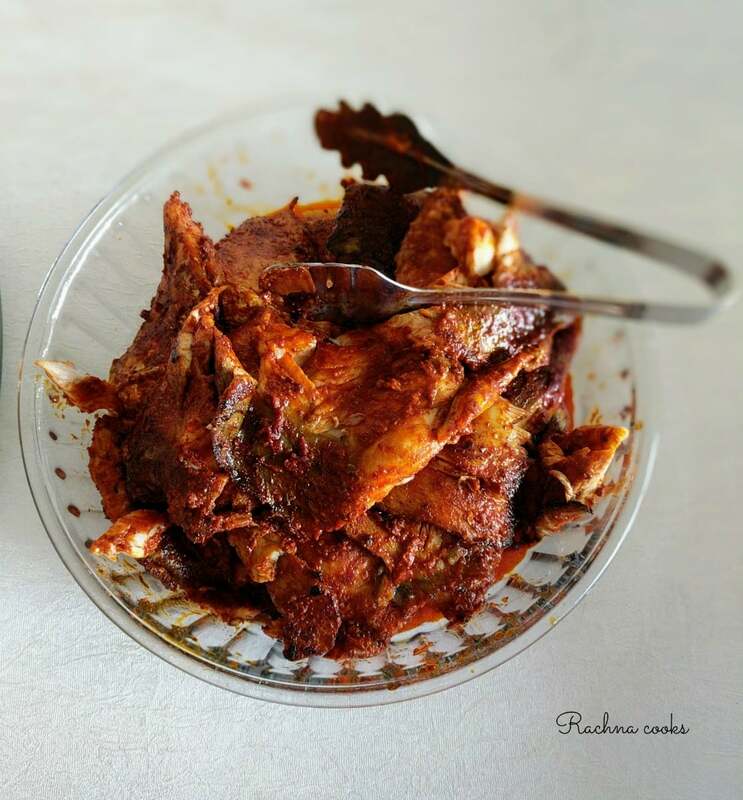 This iconic Goan dish was recreated for us. Did you know that Kashmiri chilly is a defining ingredient in Goan cooking? So much learning as she shared her knowledge generously. The final dish was vegetarian – Amaranth Fugath. This was a simple veg stir fry taken to the next level. A gorgeous side dish that is simple yet tasty. 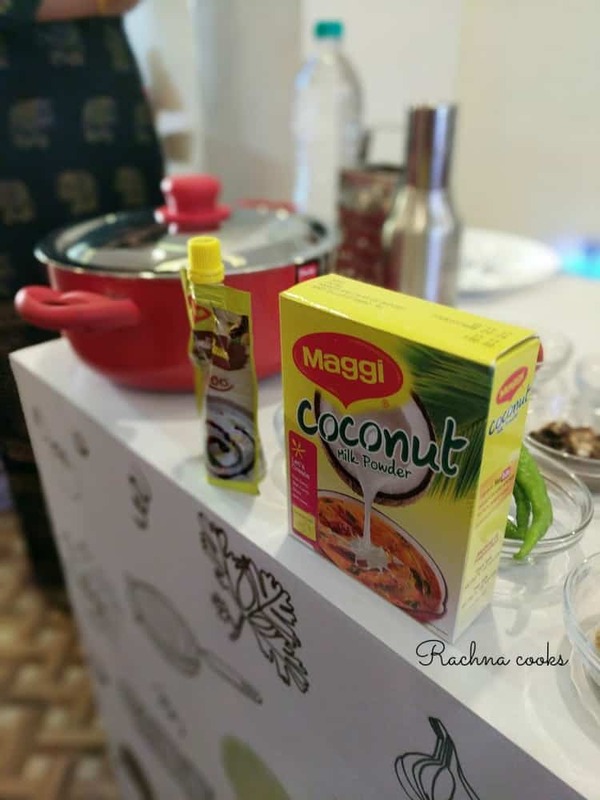 She used MAGGI Masala-ae-Magi, MAGGI Bhuna Masala, MAGGI Chicken Cubes, MAGGI Imli Pichkoo and MAGGI Coconut Milk Powder in the dishes to make homecooking easier and faster. Then came the part where I got to cook Goan Fish curry along with Rita at my work station. 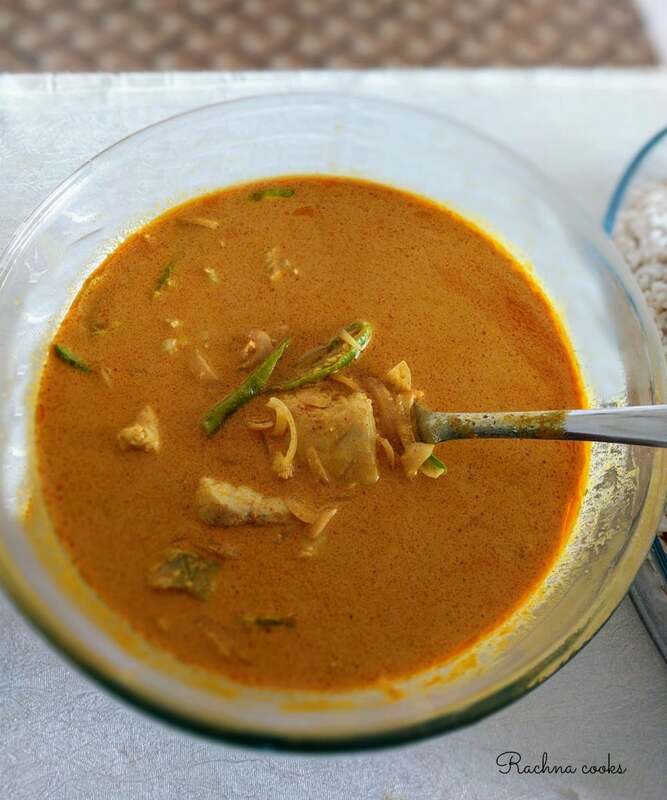 I picked out two other ladies and together we created an absolutely delicious Goan Fish curry. So easy and Rita took us step-by-step into the recipe. We then tasted all the delicacies that were cooked during the event. I am looking forward to partaking more such cooking journeys of inspirational women just like Rita and hearing their tales. 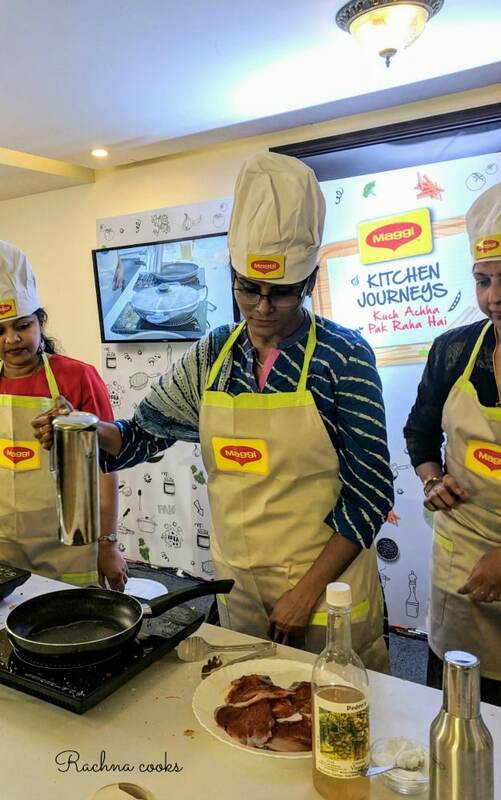 Cooking is no longer pedestrian, and women can reach exceptional heights even in traditional roles. Let’s bring the aspiration and magic back to homecooking. 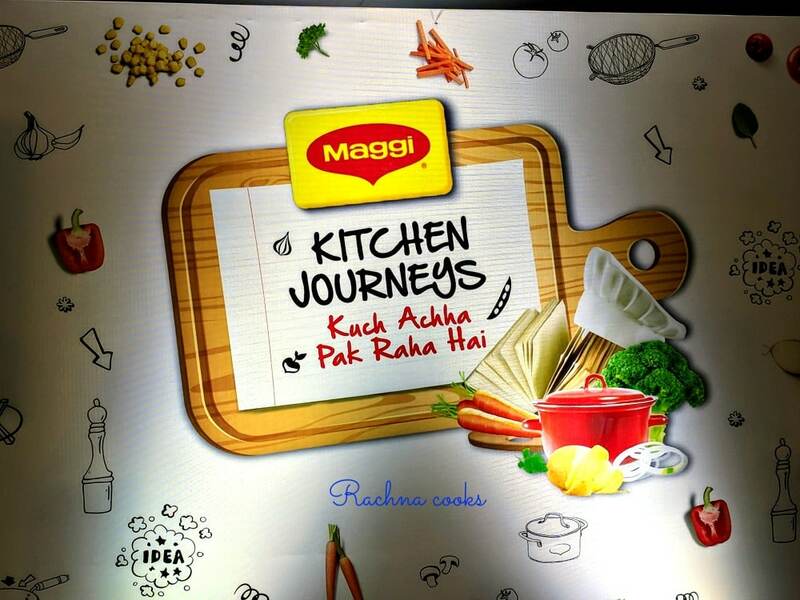 Would love to hear in the comments your thoughts on cooking and about MAGGI Kitchen Journeys. Cooking is not my forte.. I depend a lot on recipes and such demos. Its also an inspiring journey of Rita. 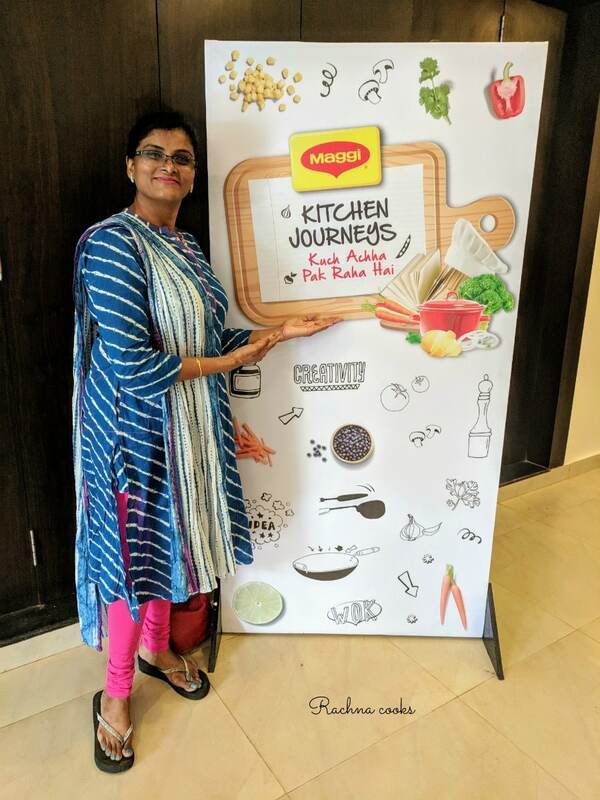 Lovely to see your journey as a food blogger Rachna. Equally inspiring !! Cooking is so essential yet I too feel like it takes so much effort. 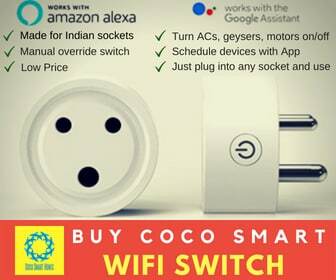 So wonderful to see all the women appreciating this beautiful art, to come up with innovative ideas so that amateurs like me can get inspired to atleast try out something new. Plus I didn’t even know Maggi sells so many other variety of products. Growing up, I was raised with this low view of cooking because it was feared if I took to cooking, I will give up on studies and end up nowhere. Parental fears come in all forms. It is only now, in the recent years, I have seen people, women particularly, who have made big with cooking and this post is a shining example of it. 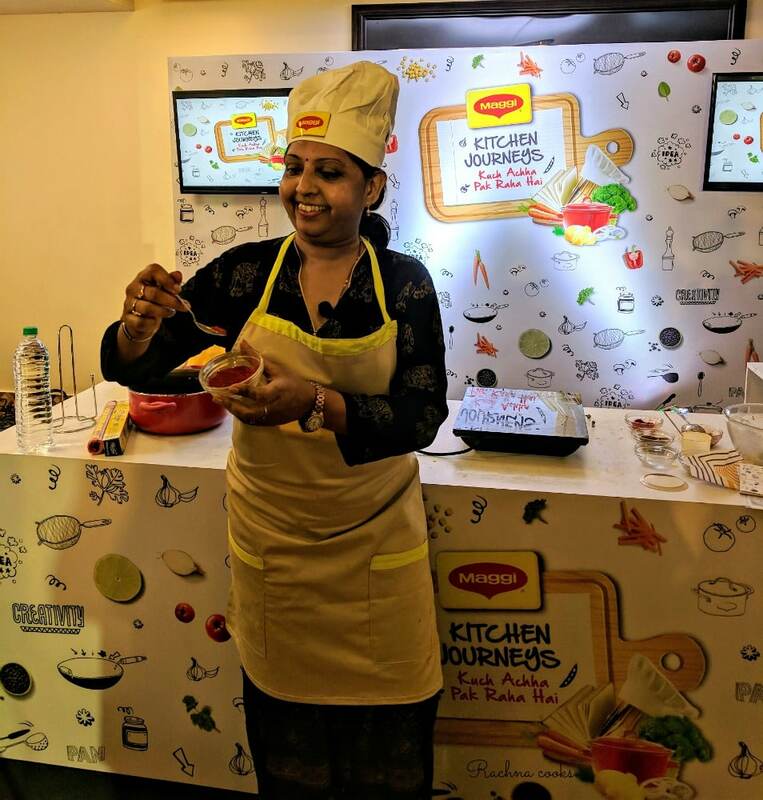 I make use of recipes to get ideas and instructions to cook something new and for me there are just 2 sites which I have made use of for the simplicity of the cooking process – one is Nisha Madhulika and the other one is yours. I can understand, Anamika. I never really did any formal cooking till after marriage and that too because we lived in the US and I had stopped working, I explored cooking. I do enjoy cooking and I have honed it over the years. I am really humbled that you like my blog for simple cooking. That is my aim as well to simplify the recipes as much as possible so that those who don’t like cooking much can also cook well. It looks like you guys had a lot of fun at the event. ? You know, it is 2018 and still every time I tell someone I cook, I’ve sees jaws drop. I recently won an award for the best dish at a pot-luck at work and everyone automatically assumed that a cook made it and not me. When I told them I did, they were shocked. For some reason, a working woman is not expected to be a good cook. Also, a modern woman like me, is not expected to cook, some said. Since when does cooking look at gender/status/outlook? I was so pissed. I love cooking. As a child too, I was always intrigued about the whole process and since I had a working mom, I learnt to cook pretty early in life. After marriage, it got more regular and as my husband is a big foodie, he encouraged me more and when you have someone who loves your food, it becomes a solid motivation to cook. I do not look at it as a chore. Cooking relaxes me, it helps me calm down. Sometimes I do not get it why some women make such a big deal out of it! But then again, to each their own. I’m sure you had a splendid experience, dear Rachna. You always were a leader ?